Need a break from your normal routine? Get on a fruit diet plan right now eating healthy fruits that give you leverage for weight loss you need when you need it. The secret to eating to lose weight may be hidden inside healthy fruits that you can trust to show results where it counts in your weight loss all made possible by fruit diet plans that you can pick up and start doing in minutes no prior knowledge necessary. Healthy fruits are everywhere you look whether you shop in that section of the grocery store often. Not only does eating fruit make a great meal replacement, they come packed with vitamins and minerals essential a healthy diet and proper weight maintenance that only gets better the more you try it. Fruit diet plans are a great way to cut back on calorie intake without having to starve yourself in addition to serving as a method to cleanse your systems for a natural detox you can keep. Whether you are a fruitarian or not, they give you an escape from conventional weight loss and diet routines. 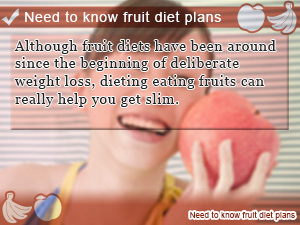 In this daily roundup of Slism, we will introduce the healthy fruits that you should get to know and how to turn them into a fruit diet plan that you can simply add to your list of great dieting methods that you use for eating to lose weight the right way. Now that you have no reason to hold back on the Morning Kiwi Diet you can eat to lose weight just by eating Healthy Fruits. On top of being good in terms of Vitamin C, the kiwi fruit makes a great alternative to cutting calories skipping breakfast. All you need to do is eat between 1 and 3 kiwis for breakfast everydayand that's it. However, keep in mind that you want to keep your kiwis out of hot temperatures to avoid spoiling vitamin C content. 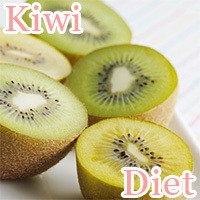 Drink lukewarm water while eating kiwi fruit and avoid at all cost eating 4 hours before hitting the sack. 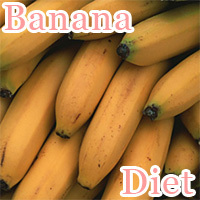 Eat to lose weight eating healthy fruits first thing after waking up staring your day off on the Morning Banana Diet. Where this Fruit Diet Plan lacks in visual appeal, it will make up in sure simplicity as you shed off the pounds, relieve constipation, and give your body a cleanse. Have bananas and water for breakfasteating what you want for lunch and dinner forgetting about dietary restrictions eliminated stress cause by unsatisfied hunger urges. In the meantime, boost your metabolism, cleanse your body, and just relax. The morning banana diet is always your diet. Picking up on healthy avocados is a great way to keep your hunger urges in-check while cleansing your body improving on your skin care, all in The Avocado Diet. With amino acids, vitamins and minerals, dietary fiber, and the powerful Antiaging Coenzyme Q10 that you can expect is going to show results on your skin fast. 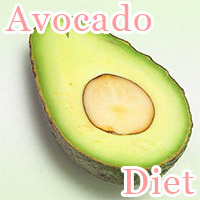 Add an avocado to each meal you eatto meet your appetite halfway before starting to eat a meal. A fruit diet plan eating healthy fruits such as avocadoes makes it easy to keep your weight down without having to give up on the foods you love always reminding yourself that you are in charge. The grapefruit is one of those healthy fruits that never gets old and keeps on coming up in continued discussion of how eating to lose weight works. Getting straight to the point, if you are looking for ways to change the course of your hunger The Grapefruit Dietis a fruit diet plan is a definite must. 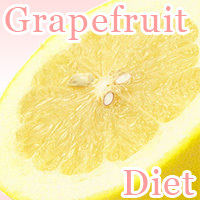 Even if you are not sure if grapefruit is good for you, that doesn't mean you can't give it a try. All you need to do is eat 1 grapefruit for breakfast and dinner peeling by hand because getting grapefruit fragrance is important because it contains Naringin found to help Suppress Hunger need to cut back on calories. It is said that most people who suffer from constipation lack the amount of Dietary Fiber your body needs for smooth bowel movement and flushing toxins out of your body. 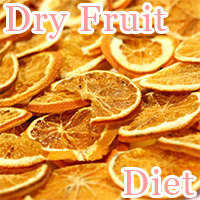 A Dry Fruit Diet incorporates fiber-rich healthy fruits giving you what you need to naturally remedy common diet problems as well as get slim. Just by snacking on bowl of dried fruit you can make it to your next meal getting the rise in blood sugar you need with the Low-Gi Advantage giving you long lasting energy to stay active and on top of your game. 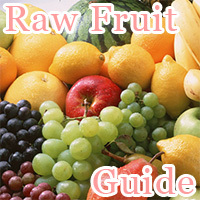 This fruit diet plan comes with portability that you must not miss out on. 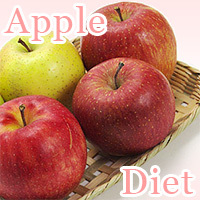 Some say that going on The Apple Diet is effective for losing weight. Great, yet another secret to eat what you want. No matter what people say about this fruit diet plan, the fact remains that apples are one of those healthy fruits indispensable to your diet and getting slim. When you are just about ready to do everything it takes to cut back on calories cleansing your body, there are worst diets out there. All you need to remember on the apple 3 day cleanse diet is to eat only apples for 3 days not forgetting to rehydrate drinking water regularly. As you may have guessed the fruit diet is A Fruit Diet plan built on eating healthy fruits used to temporarily reduced calorie intake replacing a meal with a hearty serving of fruit enough to get by till your next meal. Due to the fact, that simply eating fruit is not going to help you make gains in your weight loss progress sometimes it is nice to have a guide to direct your efforts along the way. After all, that's the first step in dieting, excepting the fact that you need help and taking as much as you can carry on hand. 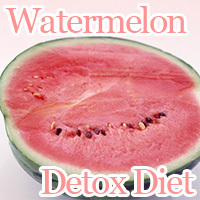 There is never a better time to eat healthy fruits than when trying to cleanse your body like on the Watermelon Detox Diet for flushing harmful toxin out of your body while preventing potential buildup negatively affecting your diet. Just replace 1 meal with a healthy serving of fresh watermelon to reduce calories while giving yourself a Natural Cleanse that you skin will thank you for meaning less trips to the dermatologist. In addition to being a great source for hydration and skin care improving nutrition slowing down the aging process watermelon is said to make your liver work harder that means a faster metabolism. What are the healthiest fruit you can eat to make your diet work out for the better? 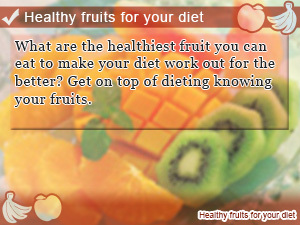 Get on top of dieting knowing your fruits. Although fruit diets have been around since the beginning of deliberate weight loss, dieting eating fruits can really help you get slim. Not all foods are created equal. 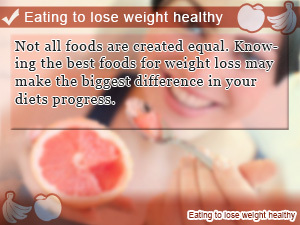 Knowing the best foods for weight loss may make the biggest difference in your diets progress.